I don’t know about you, but there are times that I just LOVE getting homemade gifts from friends and family for the holidays or really any time of the year! I will take ANYTHING one of my kids makes me with their own two hands over just about anything else. And when a friend gives me a homemade item that she put her heart and soul into, I absolutely adore it! In a world so consumed with materialistic items over the holiday season, it’s refreshing to find ways to gift things to each other that are homemade and from the heart. 1. 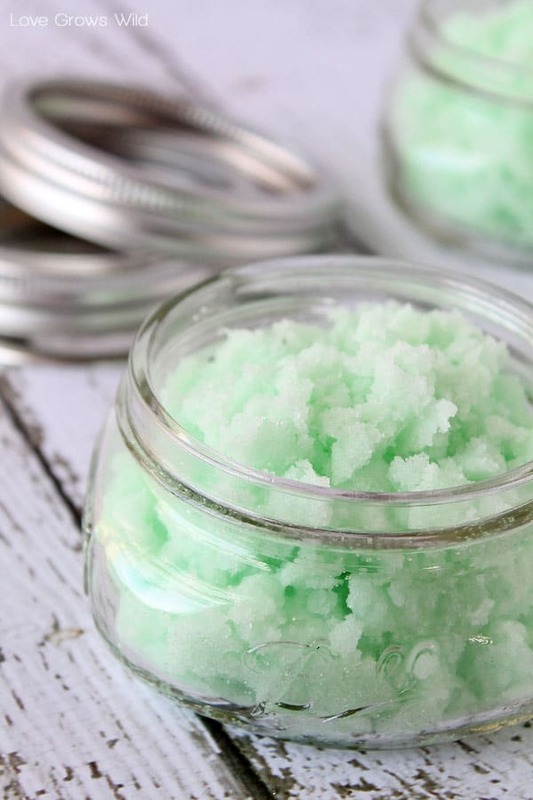 This DIY Mint Sugar Scrub looks like heaven as we still have a lot of long winter nights ahead of us. Found over at Love Grows Wild, this one totally hits the spot for those winter blues! I’ve made sugar scrubs before and LOVE them so when I find one that has a bit of a holiday theme to it, I totally see gift-giving in my future! 3. Mmmmm…. 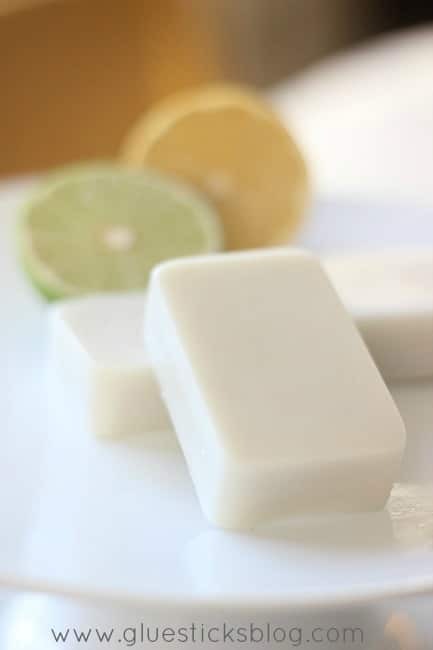 Homemade Citrus Lotion Bars found over at Glue Sticks Blog are SO up my alley! I checked out the directions for this one and I totally think that I can handle this one. Imagine wrapping up this great homemade gift for your sister and mom and having a great homemade gift for them to remember you by! 4. 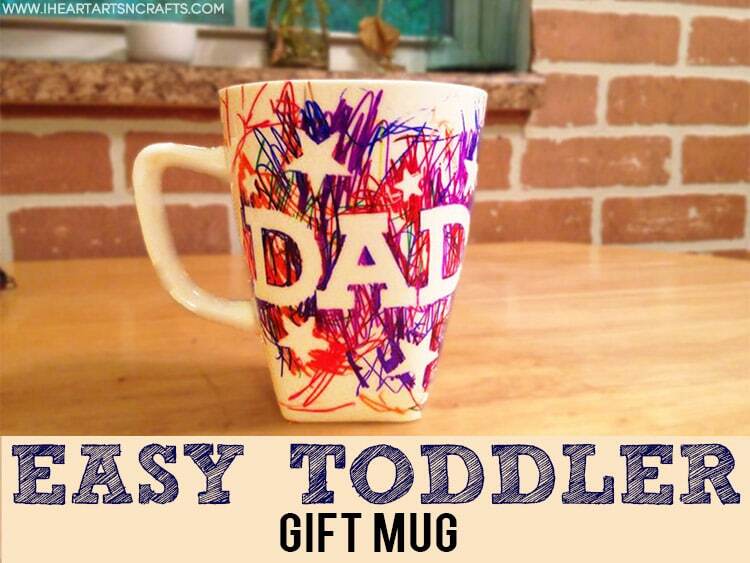 Sharpie Mug Crafts are all the rage right now and I love having the kiddos make special things for Daddy and Grandpa. Found over at I Heart Arts N Crafts, I definitely can’t wait to give this one a go with the little ones! What a special momento to look back on for years to come! 5. No-Sew Tie Fleece Blankets are everywhere in our house. I’ve made them for kids’ birthday parties, my daughter received one as a welcome home present when she was born, and we’ve made some for our favorite sports teams. I LOVE these things! 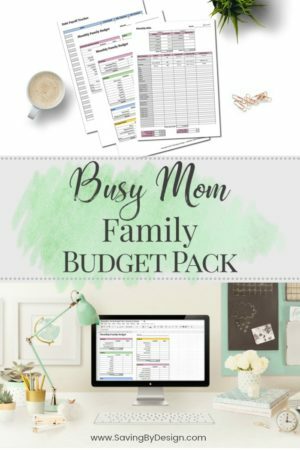 Find the details on how to make your own at Hub Pages and you won’t be sorry. 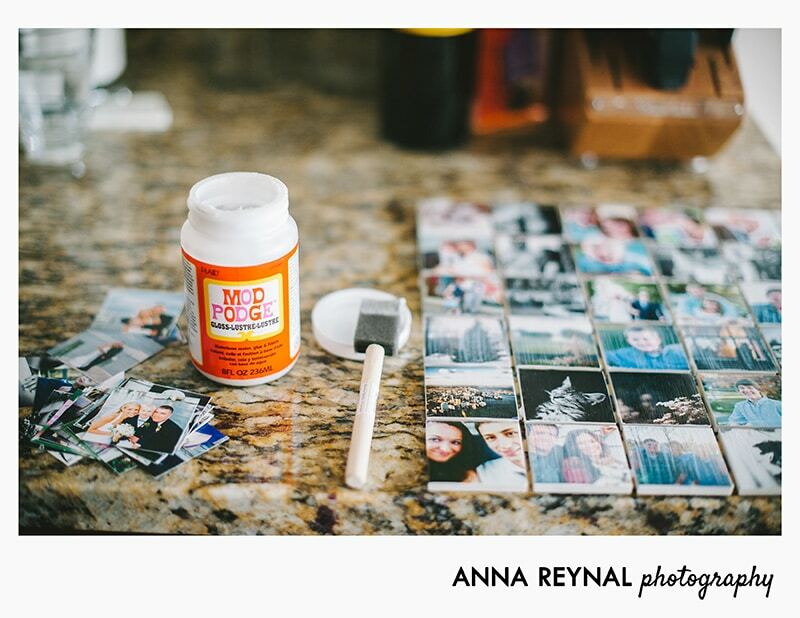 What a fantastic gift and it can be customized for your recipient however you see fit! 6. 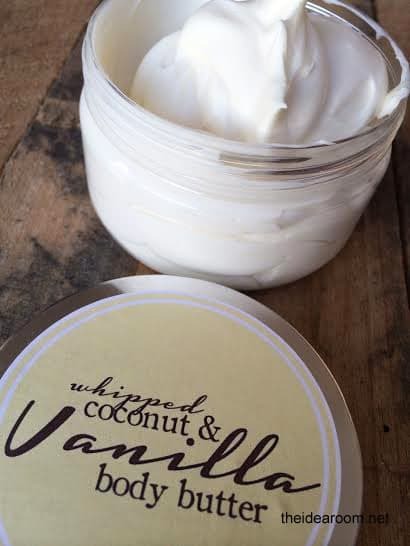 This DIY Whipped Body Butter Recipe is something I’m dying to try! Seen over at The Idea Room, I think this is such a fantastic handmade gift to hand out to friends and family in your life. There are so many expensive brands out there that I’m super curious how great this one works and feels, and if it’s a good fit, this might be a homemade item in my home for years to come! 7. A Year of Dates! I did this one year for my husband and it was hands down the best gift I had ever gotten him. He raved about it ALL year long and while it took some work upfront, it was such a fun gift to be able to share for the ENTIRE year. 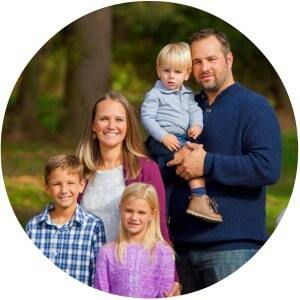 Learn more about the details at Shannon Brown and see what you think! You can make it as low-key or extravagant as you want, or make it a little bit of both. He’ll be talking about it for YEARS to come! 8. This Grandkids Picture Sign is so up my alley I may just have to get this one done in the next couple of weeks before Christmas! 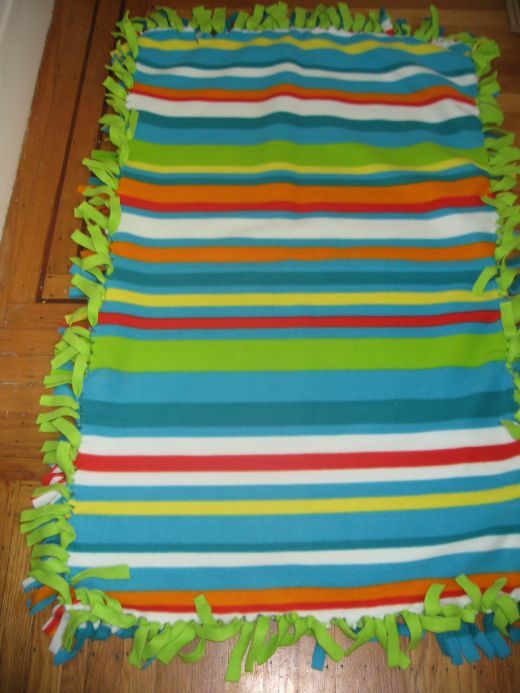 I love these kind of DIY Craft projects and when I saw it over at EmmyMom2.com, I knew I was in love! 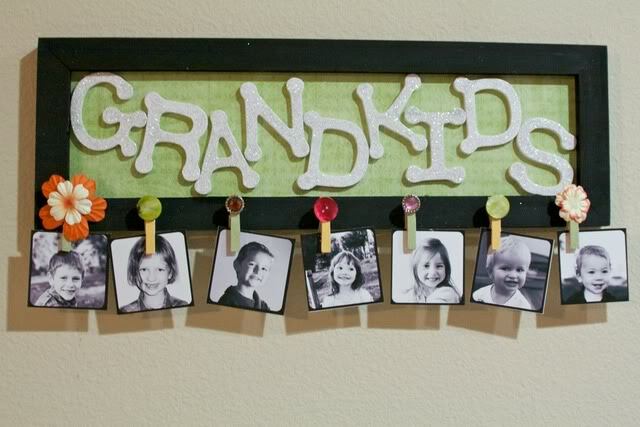 My mother-in-law has enough Grandkids to really make this sign cute and best of all, I think I might just have enough scraps of different material to pull this one off without many trips to the craft store. Score! 9. 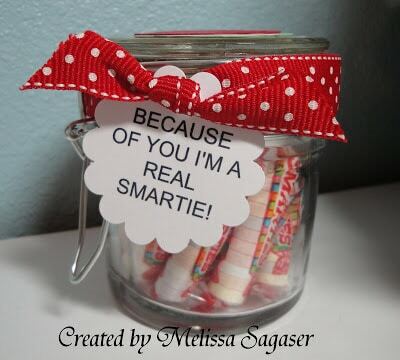 “Because of You I’m a Real Smartie” Teacher Jar. This will be the first year I’m in the mix for teacher presents now that my son is in school, but it’s something I always enjoy seeing ideas for. This one from Creative Treasure looked so cute to me. 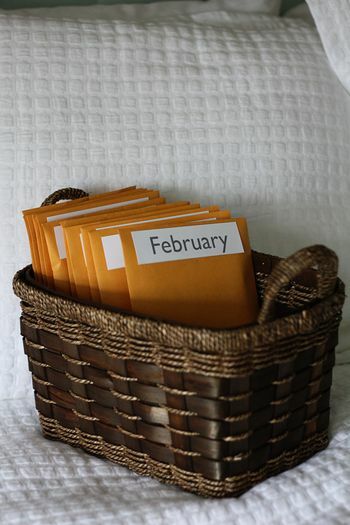 Put any kind of a treat in the jar for their teacher and when the treats are gone, they can use the jar for any other kind of supplies that they want to keep in one place during the school year! Love it! 10. I have plenty of girlfriends (myself included) who are ADDICTED to Starbucks. 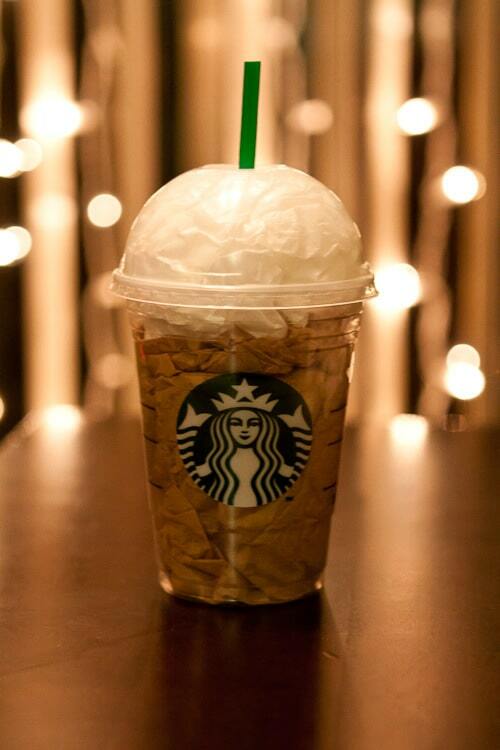 So these Starbucks Gift Card Homemade Holders that I came across at TabithaW is something I am SO making this year! Simple, yet a creative way to hand out a gift card!